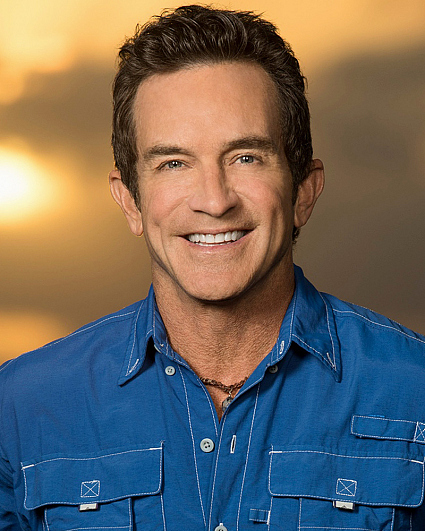 Jeff Probst is a four-time Emmy Award winner for "Outstanding Reality Host." He has traveled the world serving as both host and executive producer for Survivor. He received an Emmy in 2001 when the show won the first ever Outstanding Non-Fiction Program (Special Class) award. In 2015 Survivor celebrated its 30th edition and 15 years since the series premiered on May 31, 2000. Survivor premiered its 34th season in March 2017 and marked the show's 500th episode. Probst is a New York Times bestselling author of a kid's adventure series, Stranded. Also, he is a feature film director. In 2002 he wrote and directed Finder's Fee, starring Ryan Reynolds, James Earl Jones, Robert Forster, and Matthew Lillard. Most recently, he produced and directed the feature film Kiss Me, starring John Corbett, Sarah Bolger, Rita Wilson, Emily Osment, Missy Pyle, and Jenna Fisher. Probst hosts the Howard Stern Celebrity Fan Roundtable for Howard Stern on Sirius/XM radio and previously served as host of VH1's Rock and Roll Jeopardy. He hosted several programs for FX and traveled around the world as a correspondent for Access Hollywood. In 2001 he was voted one of People Magazine's "Most Beautiful." He is a proud spokesperson for Taylorsgift.org, whose mission is to re-gift life through organ donation. In addition, Probst is an ordained minister and has served as the officiant at the weddings of several friends. He was ordained by the Universal Life Church of Modesto, California. A native of Wichita, Kansas, Probst lives with his family in Los Angeles when he's not traveling the world. His birthday is Nov. 4. Follow him on Twitter and Instagram @jeffprobst.